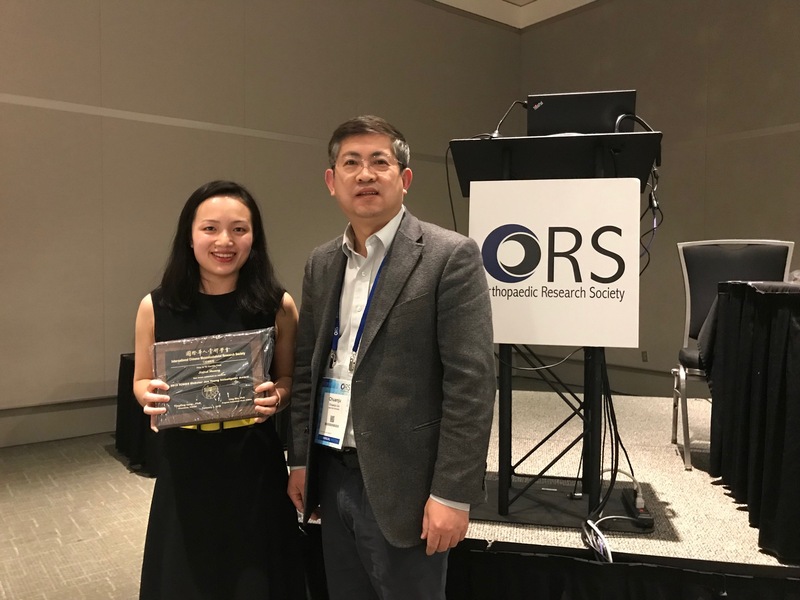 The 2019 annual ICMRS-ORS Membership Meeting was held in Austin on February 2nd, 2019. We have a total of 90 attendees with guests from NIH and JOR. To enhance the social bonding among our members and to better nurture our young investigators, this meeting continue last year’s format of roundtable discussions, by asking the attendees to choose their interested topic and stay at the corresponded table during the entire meeting. 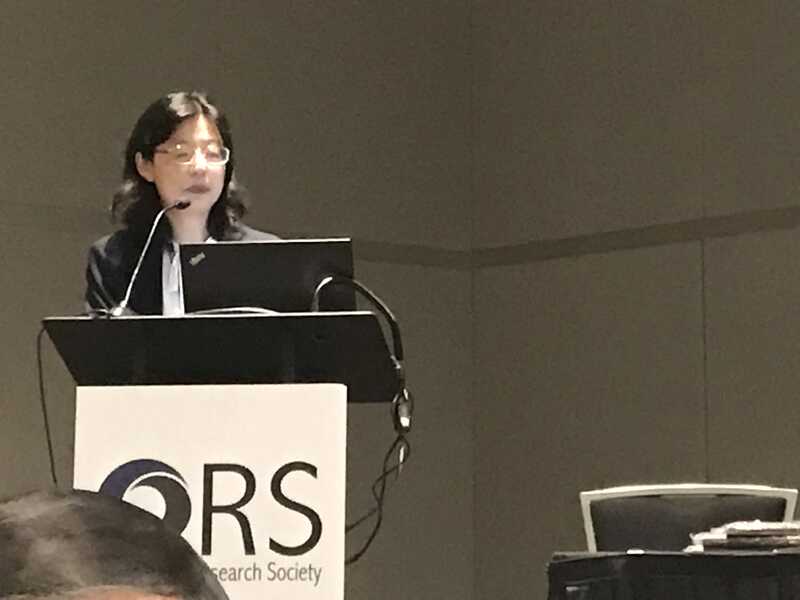 The meeting started with a President’s Report presented by Dr. Ling Qin, President-elect and Chair of Program Committee, on behalf of current President Dr. Tingting Tang. 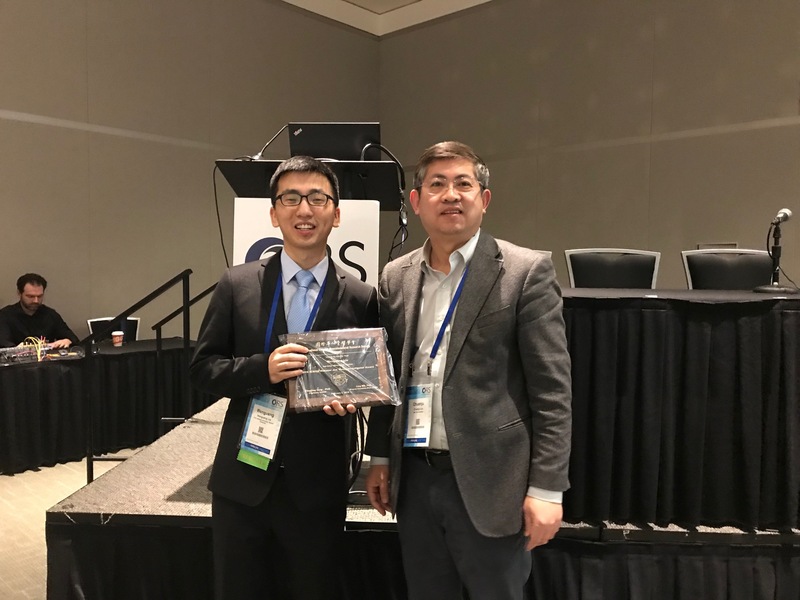 This report summarizes the progress of our society during Dr. Tang’s presidency in the past one and half years, focusing on committees, membership, communication, education, development in China, and sponsored meetings. New committees have been established to increase the regional diversity of our society and enhance the scientific exchange among our members. They include Australia and Asean Development Committee, Europe Develop Committee, and Scientific Committees, which are subdivided into Bone and Joint Biology, Stem Cells and Regeneration, Biomechanical and Biomedical Engineering, Biomaterial and Translational Research. 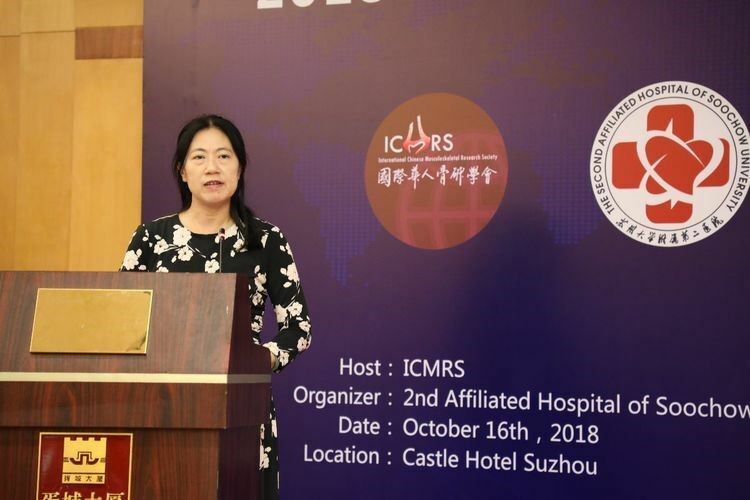 Dr. Qin also announced that our society’s biennial meeting, the 4th International Chinese Musculoskeletal Research Conference will be held in Shenzhen, China, on August 9-12, this year and she encouraged our society members to submit abstracts and attend this meeting. 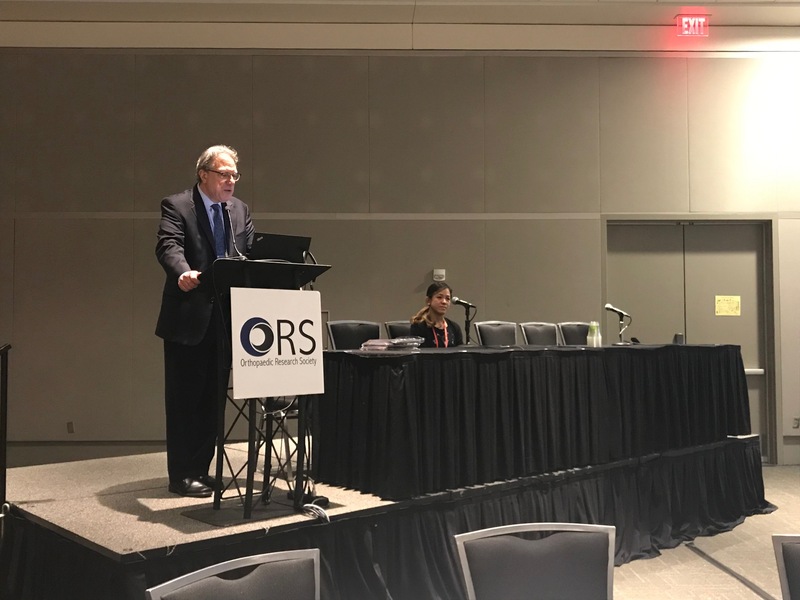 Following this, Dr. Stuart Goodman from Journal of Orthopaedic Research gave a talk about new developments of JOR and the journal’s outreach to China. 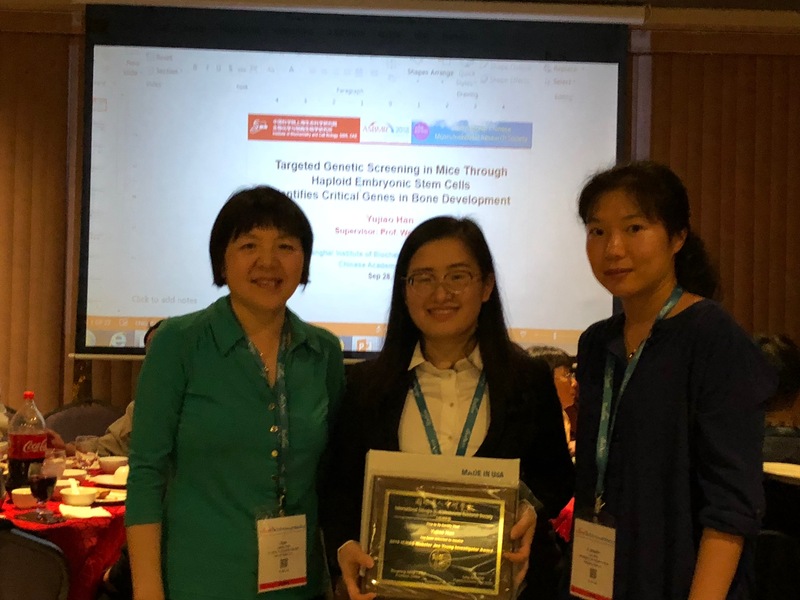 This meeting was then highlighted by the announcement of Webster Jee Young Investigator Awardees by Dr. Chuanju Liu: Jiahui Hang from Brown University, Yulong Wei from the University of Pennsylvania, and Wenguang Liu from Xi’an Jiaotong University. Each awardee gave a brief introduction about their outstanding research. They were presented with an award plaque and a cash prize of $500 each. The major part of this meeting is a 1-hour panel discussion of Promoting Research Integrity with panelists Drs. Yi-Xian Qin, James Wang, Ed Guo, and Stuart Goodman and Chaired by Dr. Jean Jiang. At the school Dean and department Chair levels, those panelists provided their perception and interpretation about research integrity, ethics, intellectual property, and conflicts of interest/disclosure. Questions from audience regarding specific cases further enhanced this discussion. 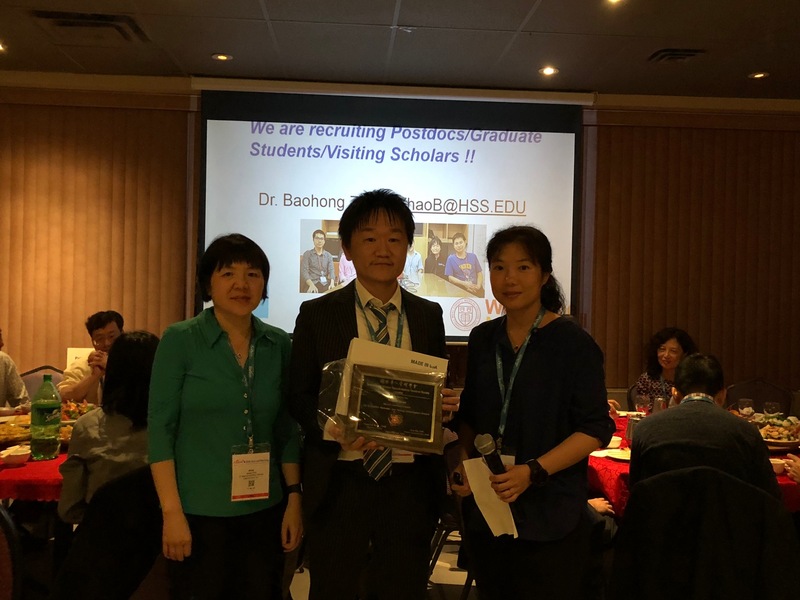 At the end, special thanks go to volunteers from our society who helped to organize this membership meeting: Dr. Wei Yao from UC Davis, Dr. Neil Dong from University of Texas, Dr. Sherry Liu from University of Pennsylvania, and abstract reviewers for Webster Jee Young Investigator Award. 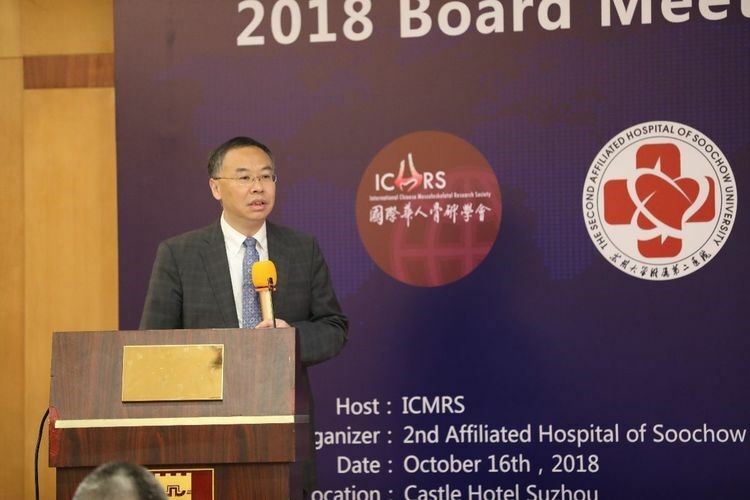 2018 ICMRS Board Meeting, namely 2018 ICMRS Suzhou Expert Forum, was held in Castel Hotel, Suzhou, on October 16th 2018. More than 40 board members from all over the world gathered in Suzhou to attend the Board Meeting. 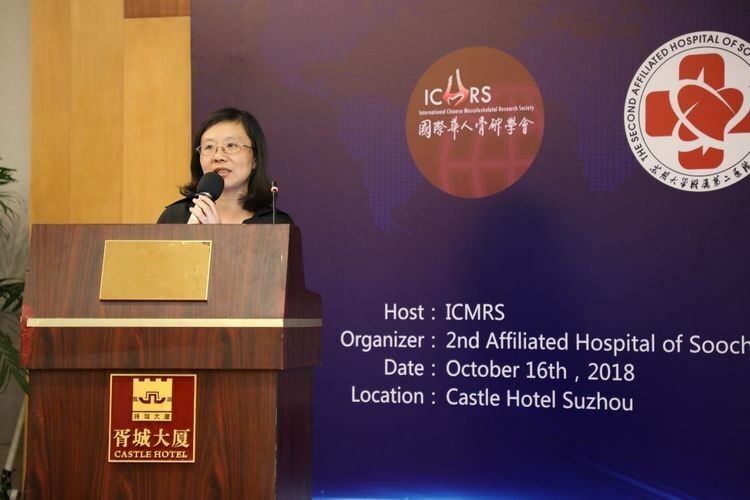 The Meeting was hosted by ICMRS, and organized by The Second Affiliated Hospital of Soochow University. 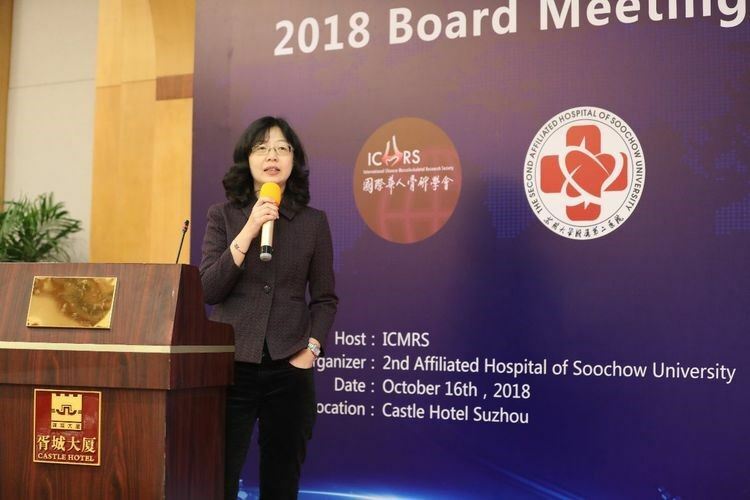 ICMRS Chair Prof. Tingting Tang addressed the board meeting, detailing the development of ICMRS and its infrastructure, and looking forward to its further development. 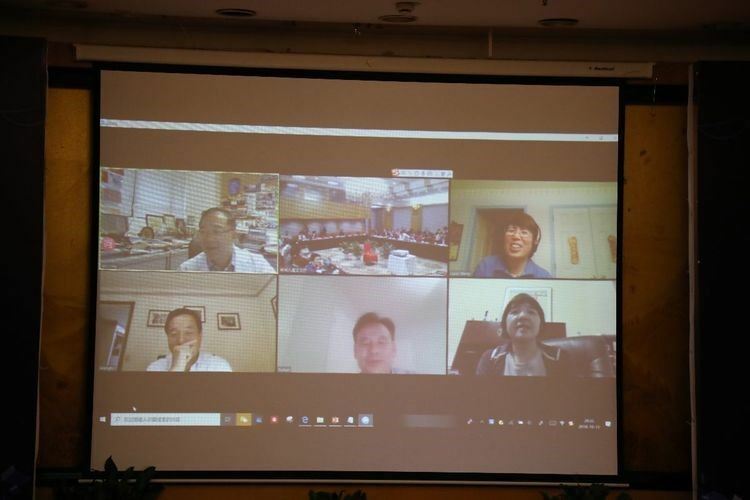 Subsequently, experts from home and abroad, including Prof. Ling Qin and Prof. Liyun Wang, discussed the development and recent planning of the ICMRS through video conference. ICMRS Board Meeting went on after coffee break. 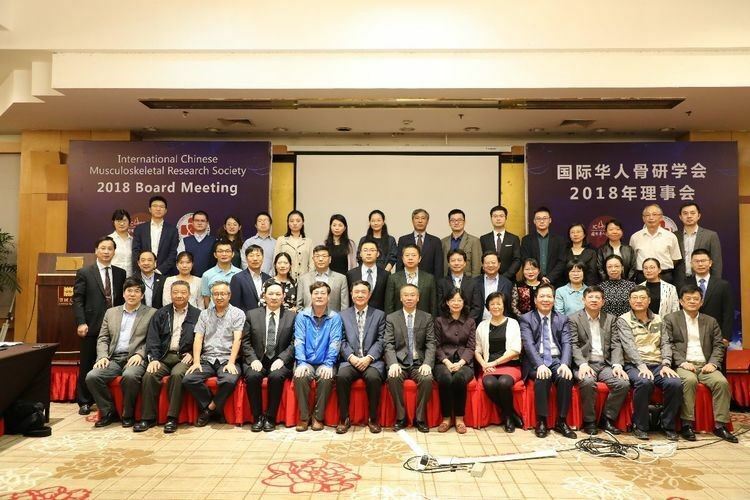 Professor Bin Li briefed and reported on the work of various research centers throughout the country, and highly evaluated the achievements of the research centers. Next, representatives from newly established research centers in Nanjing, Guangzhou, Shenzhen and Dalian reported on their work one by one. 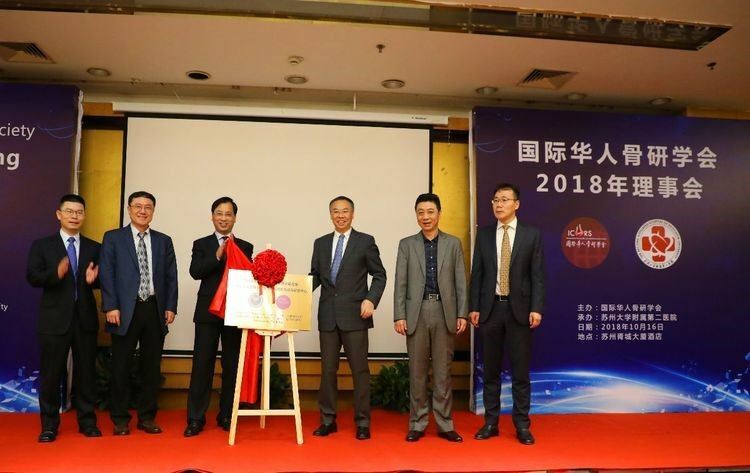 Following the introduction of the newly established research centers, Prof. Yixian Qin proposed the idea of Webster Jee Award Fund and exchanged views with a number of experts on specific operational details and funding sources. Then, several candidates for the Chair of the Scientific Committee, such as Chen Lin, introduced their work briefly. 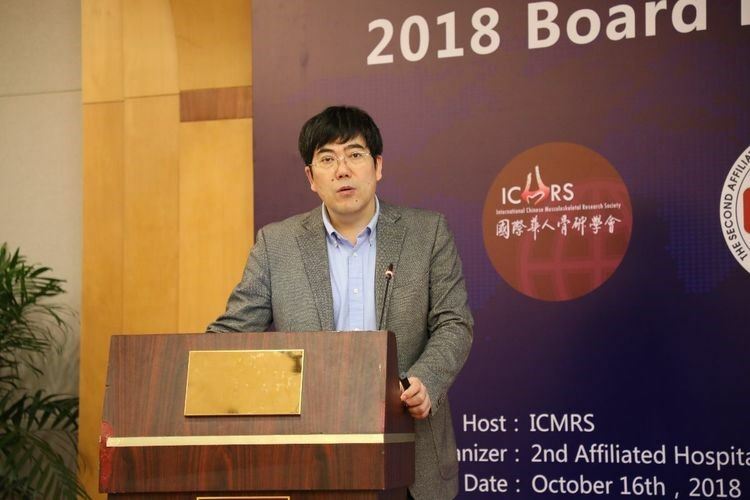 Prof. James Wang reported online about the challenges of ICMRS development and the way forward. Prof. Hong Zhou and Prof. Ling Qin put forward their views. Prof. Lucus Lu suggested that the development of North American scholars should be strengthened, which was supported by the experts. 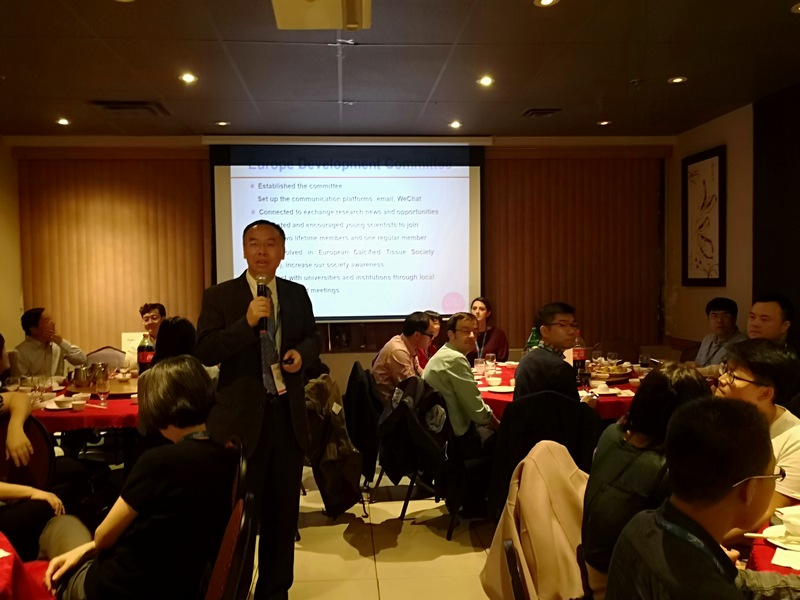 Prof. Guozhi Xiao and Prof. Weijia Lv briefed the attending experts on behalf of the Preparatory Committee on the ICMRC agenda for 2019, which will be held in Shenzhen. 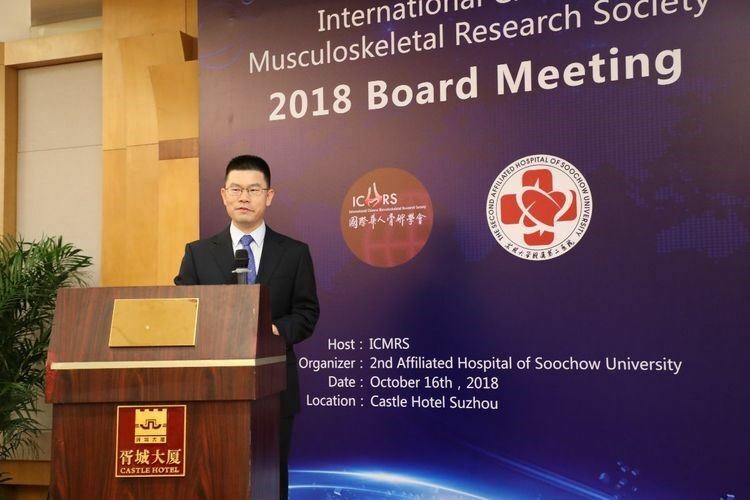 At last, Doctor Xiao Wang from the newest established “Institute of Osteoporosis Diagnosis and Treatments of Soochow University- ICMRS Collaborating Center for Osteoporotic Fractures” introduced the center’s recent achievements on iron metabolism and osteoporosis. 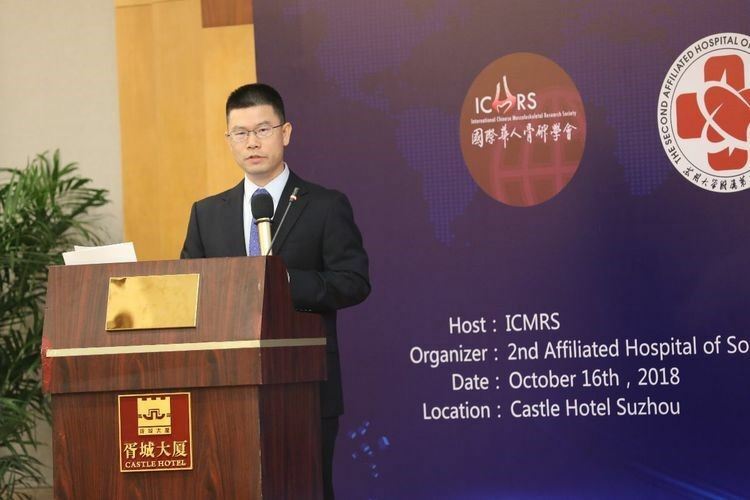 The opening ceremony of the newest established center, namely “Institute of Osteoporosis Diagnosis and Treatments of Soochow University- ICMRS Collaborating Center for Osteoporotic Fractures”, was held in Castel Hotel, Suzhou, on October 16th 2018. More than 40 board members from all over the world attended the opening ceremony. 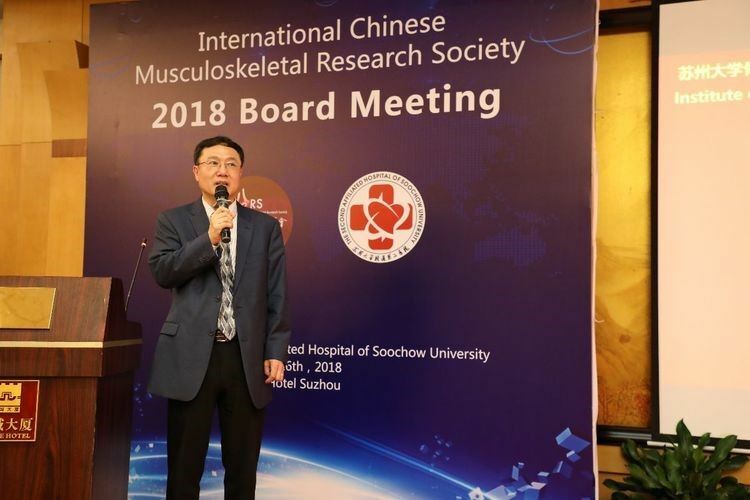 Prof. Youjia Xu added that the establishment of “Institute of Osteoporosis Diagnosis and Treatments of Soochow University- ICMRS Collaborating Center for Osteoporotic Fractures”, would help to strengthen the co-operation and exchange among the centers and organizations, would help to promote the internationalization of osteoporosis research in the Soochow University and its affiliated hospital. 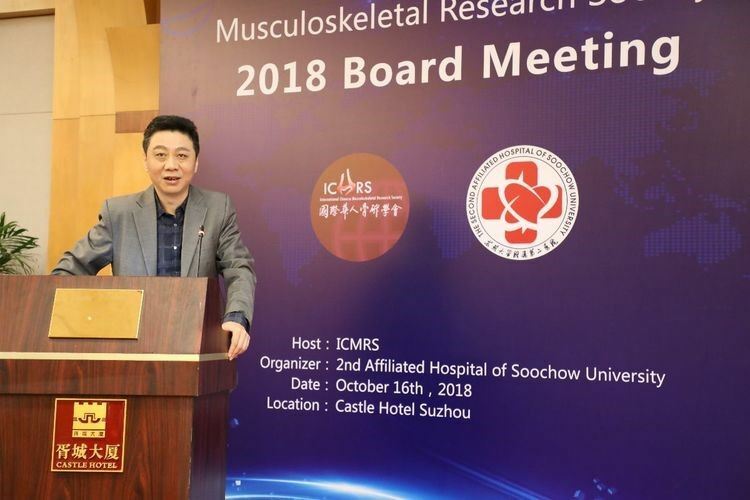 At last, Prof. Youjia Xu said the newest center would like to take this opportunity to work with all the experts to take the study of osteoporosis to a new level. Theme: Cutting edge research in bone biology and potential new therapies. 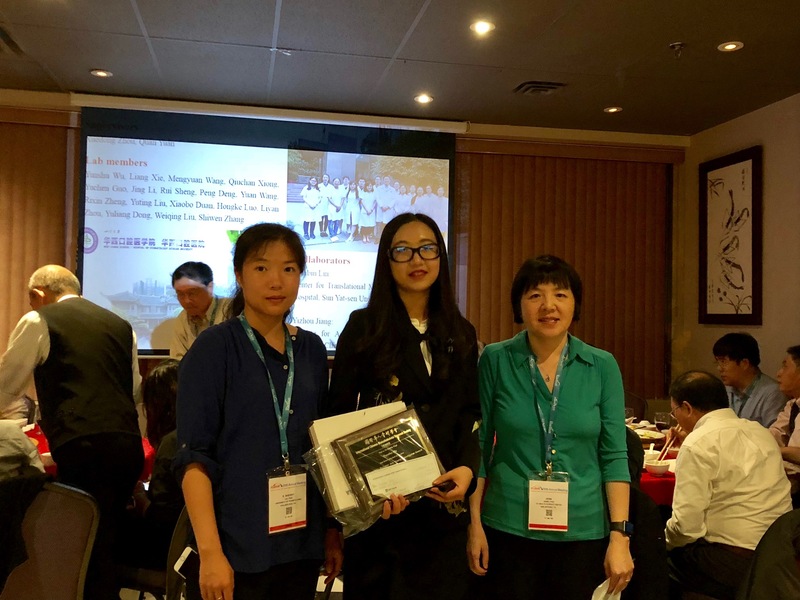 The 2018 Australia Symposium of International Chinese Musculoskeletal Research Society (ICMRS) was held in Perth, Western Australia, on the 4th of October 2018. 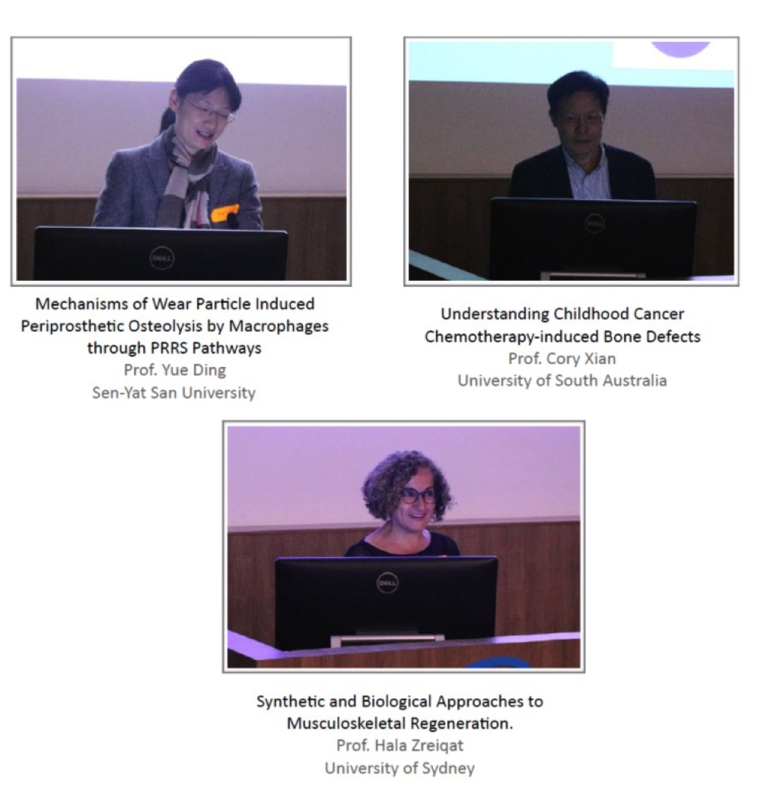 Chaired by Prof. Jiake Xu, together with Prof. Yin Xiao, Prof. Yue Ding, Prof. Nathan Pavlos, and Prof. Xiaoling Zhang, more than 50 attendees were involved in this symposium. 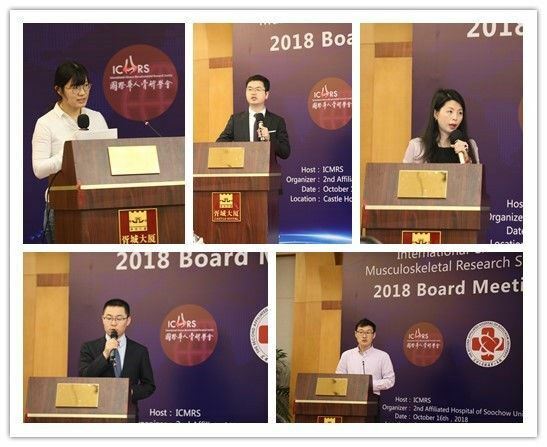 This meeting has put together a wide range of cutting-edge research in bone biology that appealed both clinician and basic scientists in musculoskeletal field. 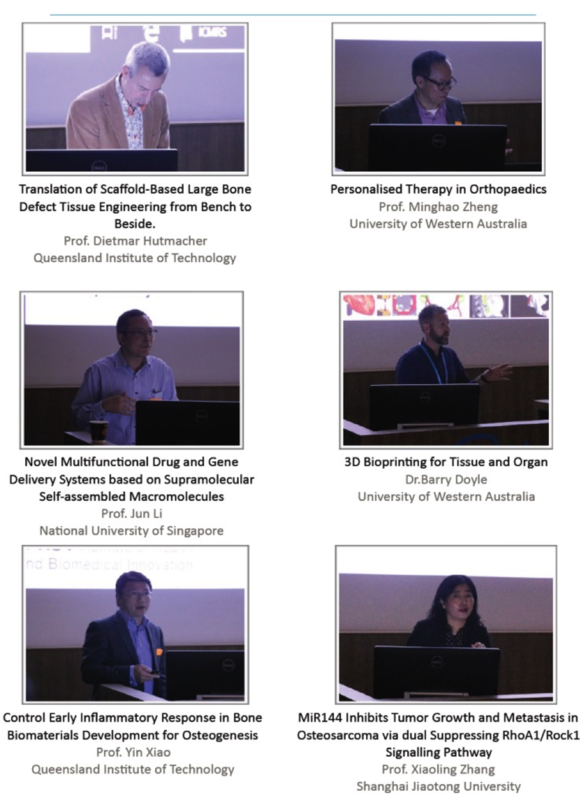 Topics presented by our invited speakers from China, the USA, Singapore and Australia include bone cell biology, novel therapeutic applications for bone disease, biomaterials and bone tissue engineering, 3D bioprinting for tissue and organ, as well as translational of biomaterials in orthopaedics field. Dinner time after the symposium was also provided for further networking and discussion. The breadth and depth of this symposium, alongside with the breathtaking scenery beside Swan River, delivered a vibrant and valuable meeting for all members. 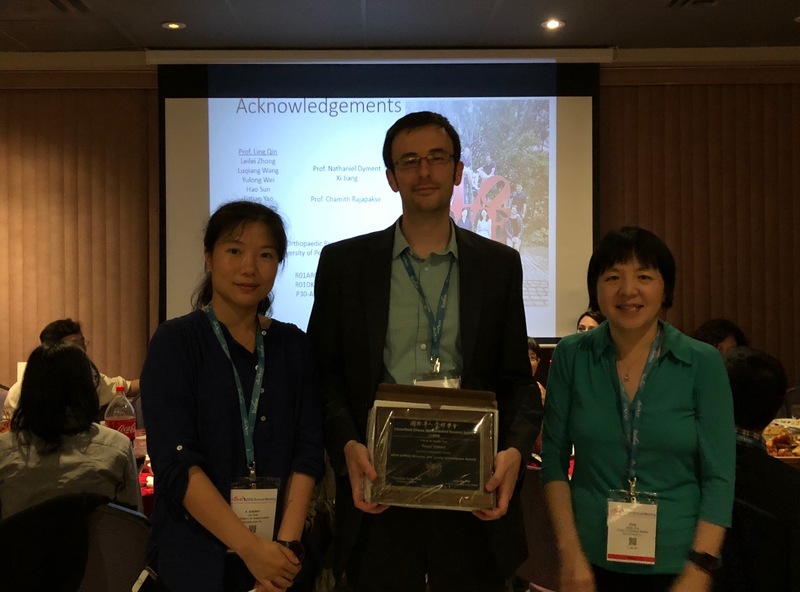 The 2018 annual ICMRS-ASBMR Membership Meeting was held in Montreal, Canada, on September 28, 2018. More than 80 ICMRS members attended this meeting. To enhance the social bonding among our members and to better nurture our young investigators, this meeting adopted a new format, roundtable discussions, by asking the attendees to choose their interested topics during online registration and stay at the chosen table during the entire meeting. Each table was led by 2-4 discussion leaders volunteered by the lifetime members of our society. 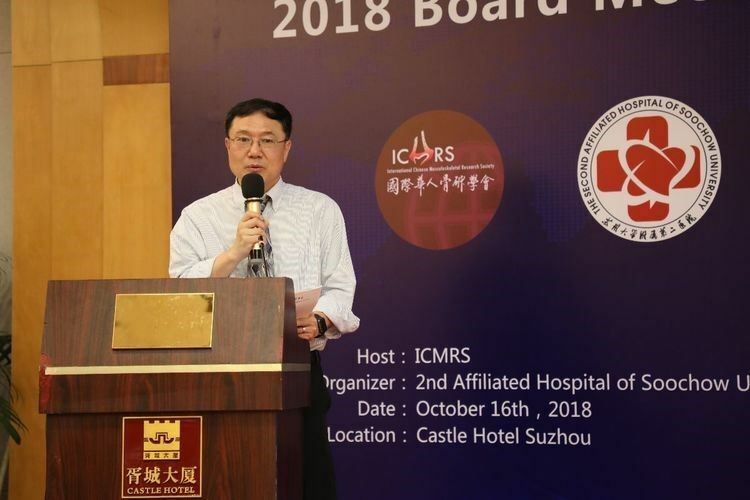 The meeting started with a Welcome Message from Dr. Ling Qin, President-elect and Chair of Program Committee, by acknowledging those ICMRS members who help to organize this meeting and introducing the new meeting format. Following that, Dr. Tingting Tang gave a Presidential Speech summarizing the progress of our society since his inauguration last year and his future plan in the next year, focusing on leadership and committees, membership recruitment, communications, regional development, journals, and fundraising. 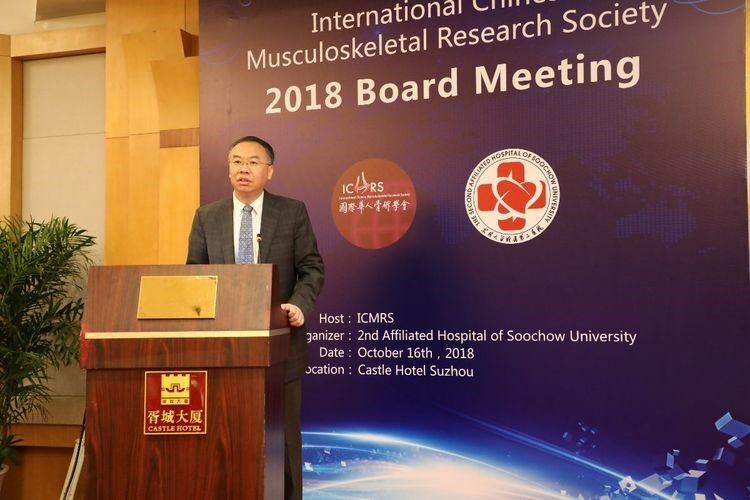 Specifically, he introduced the newly established Scientific Committees, including the Bone and Joint Biology Committee, the Stem cells and Regenerative Medicine Committee, the Biomechanical and Biomedical Engineering Committee and the Biomaterials and Translational Research Committee. Dr. Lin Chen from Army Medical University in Chongqing, Dr. 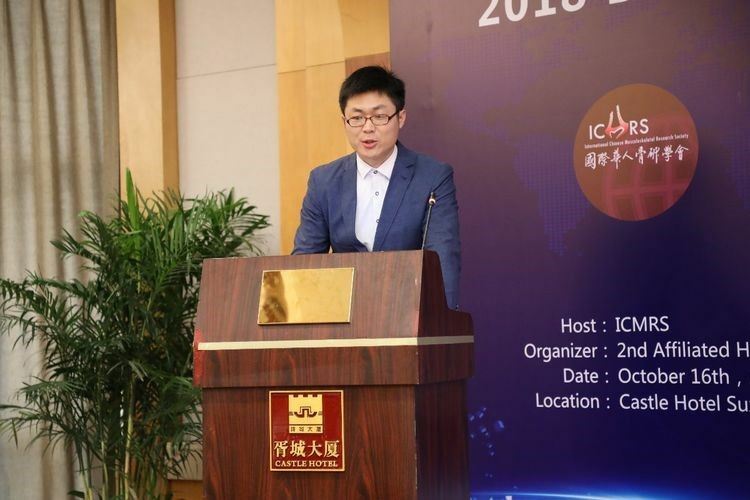 Gang Li from Chinese University of Hongkong, Dr. Ming Zhang from the Hong Kong Polytechnic University, Dr. Changsheng Liu from East China University of Science and Technology in Shanghai have been nominated as the chair for each committee. This meeting was then highlighted by the announcement of Webster Jee Young Investigator Awardees: Yunshu Wu from Sichuan University, Kazuki Inoue from Hospital for Special Surgery, Yujiao Han from Shanghai Institute of Biochemistry and Cell Biology, and Robert Tower from the University of Pennsylvania. Each awardee gave a brief introduction about their outstanding research. They were presented with an award plaque and a cash prize of $400 each. 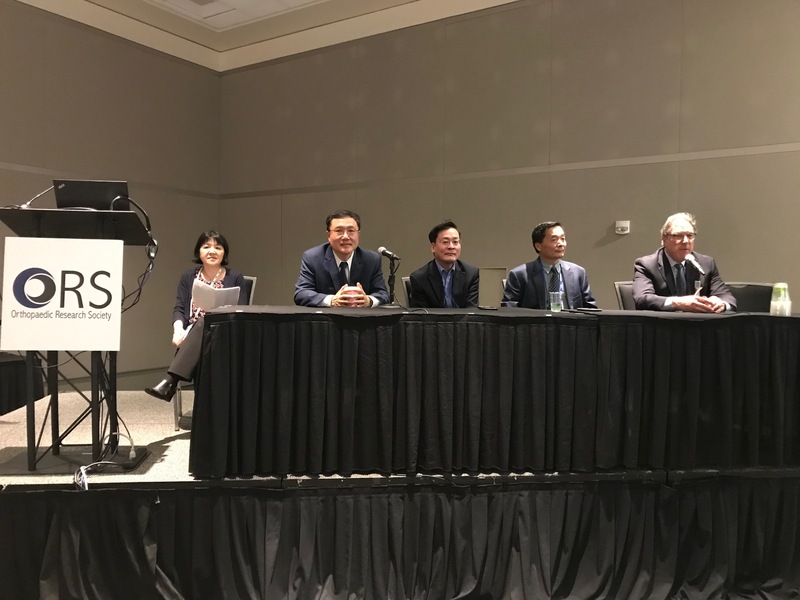 The following roundtable discussions were set in 8 tables with topics such as Pathways to be independent, Industry career, Opportunities in China, Bone remodeling, Osteocyte biology, Bone biomechanics, Cartilage and diseases, and Mesenchymal stem cells. These discussions were actively carried out till the end of the meeting. The ASBMR 2018 Annual Meeting will be held in Montréal, Québec, Canada on September 28 – October 1. For ICMRS members attending this meeting, we would like to highlight the following education-related events. This special one-day program, taking place on Friday, September 28, provides a cohesive agenda of popular Annual Meeting sessions with increased opportunities for networking with, and mentorship from, respected leaders within the bone sciences field. As Dr. Mike Evans, ASBMR President said, “There is no better way for a trainee to kick-start their career than by learning from and networking with the best and brightest within our field at the premier meeting in bone and mineral metabolism.” To register, please visit the 2018 ASBMR Annual Meeting Registration Site or the Registration counter in Montréal. Early Stage Investigators who wish to continue building connections with peers in a fun and informal setting are invited to attend this event. Participants are encouraged to participate in Networking Bingo and will get a chance to win drink tickets and be entered in a raffle drawing for a free ASBMR In-Training Membership. New this year! The 2018 Publications Workshop will feature new interactive roundtable sessions with the JBMR® and JBMR® PlusEditors. Meet with JBMR® Editor-in-Chief Dr. Roberto Civitelli, M.D. and JBMR® Plus Editor-in-Chief Dr. Peter Ebeling, AO, as well as Deputy and Associate Editors from both journals to discuss topics such as title optimization, figure preparation, improving manuscript quality, getting selected as a new reviewer, and many other subjects. As you may know, the ASBMR established a mentorship program (http://www.asbmr.org/about/detail.aspx?cid=a386c383-dd5b-4579-8aa5-8a436a36ded6) where ASMBR members are willing to share significant scientific experiences and professional expertise with other members. As suggested by the Education Committee, the ICMRS leadership highly encourages the senior members of ICMRS to sign up to serve as mentors, and the junior members of our society to register to take advantage of the expertise the more senior members may offer. This will significantly increase the impact and visibility of our society and contribute to the education of future young scientists in the society and the field. 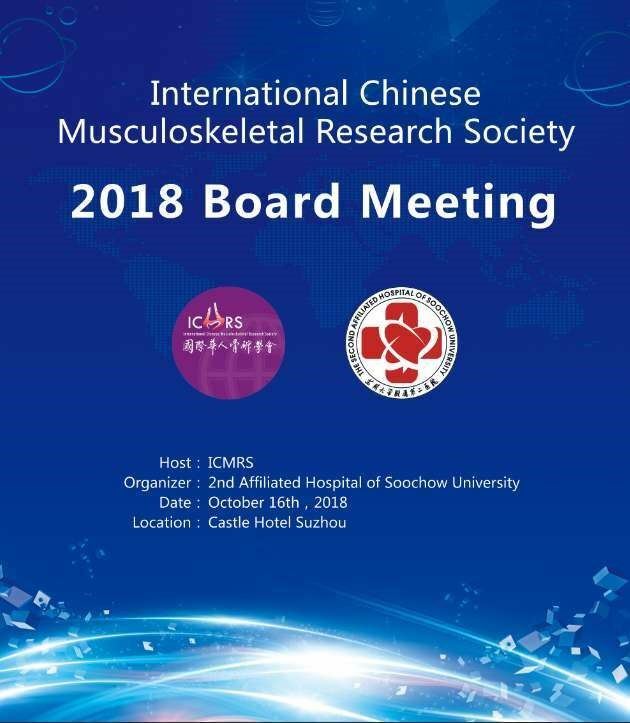 On behalf of the Chinese Society of Osteoporosis and Bone Mineral Research (CSOBMR) of the Chinese Medical Association (CMA) and the International Chinese Musculoskeletal Research Society (ICMRS), we are honored to invite you to the 9th International Conference on Osteoporosis and Bone Research 2018 (ICOBR2018) to be held Oct 17-20, 2018 in Suzhou, China. We welcome world renowned scientists and researchers to share their most up-to-date findings at this conference. IOCBR2018 program will include both educational and scientific programs, and an extensive review and update of cutting edge research in this promising field. The organizers of ICOBR2018 welcome the submission of abstracts. Abstracts will be accepted for oral presentation, poster or for publication only. All abstracts must be submitted online (www.csobmr.org.cn). The deadline for the submission is July 31, 2018. An Acknowledgement letter will be sent to your registered email address immediately after you successfully submitting your abstract(s). Submitted abstracts will be reviewed by the Scientific Committee before they are accepted. Notification of abstract acceptance will be emailed to the author by Aug. 31, 2018. High ranked abstracts will be considered for the chance of Best Paper Awards and WJ Young Investigator Awards. Please click here for the PDF version of this announcement. 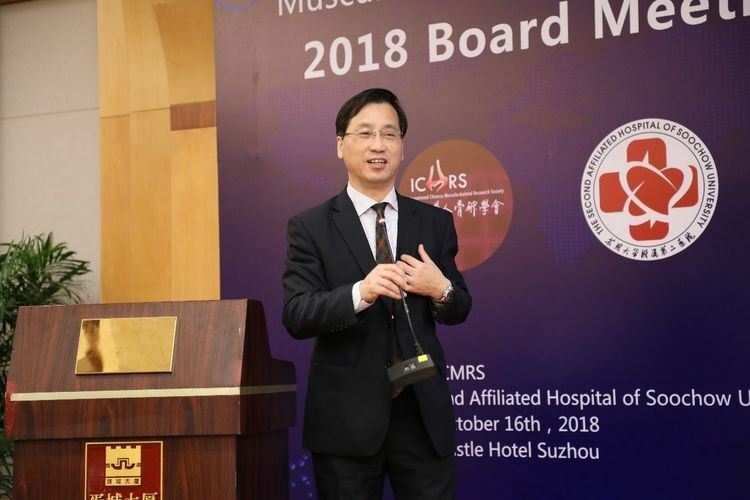 Dr. X. Edward Guo, past president of the ICMRS, has been named Chair of the Department of Biomedical Engineering at Columbia University. 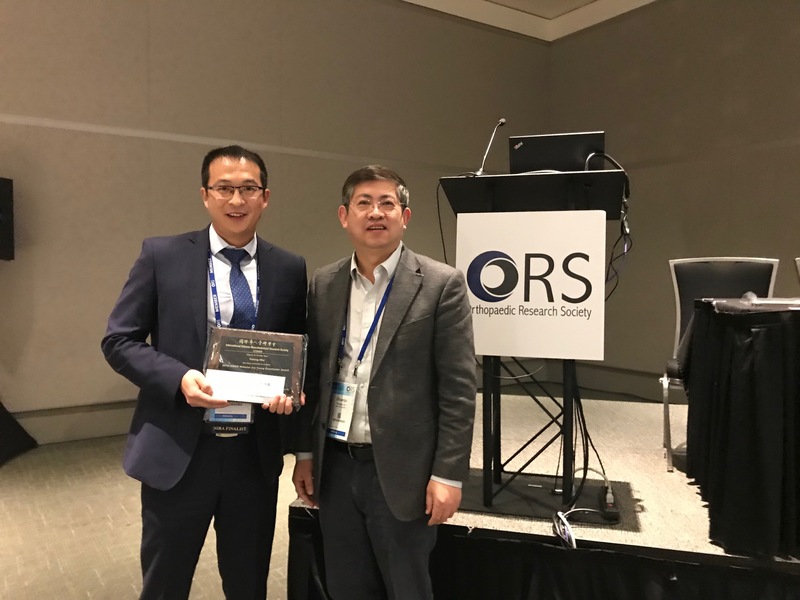 Dr. James H-C. Wang, past president of the ICMRS, has been named as Vice Chair for Research of the Department of Orthopaedic Surgery at University of Pittsburgh . 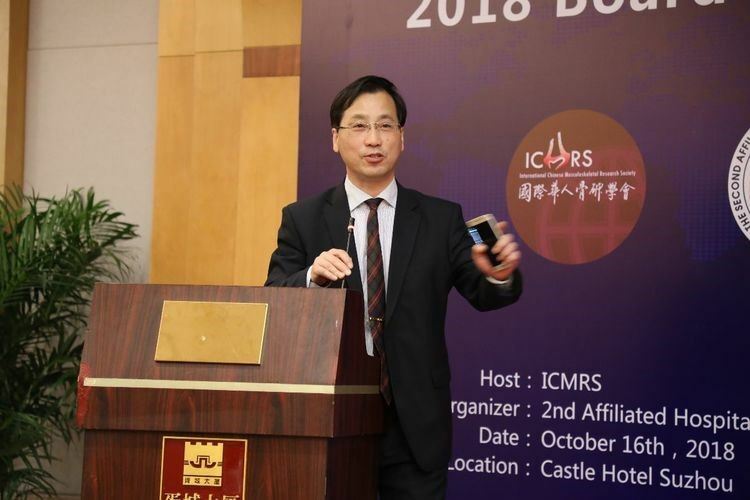 Dr. Yi-Xian Qin, Chair of Board of Directors of the ICMRS, has been named as Associate Dean for Academic Affairs and Int'l Programs, College of Engineering and Applied Sciences, at Stony Brook University. 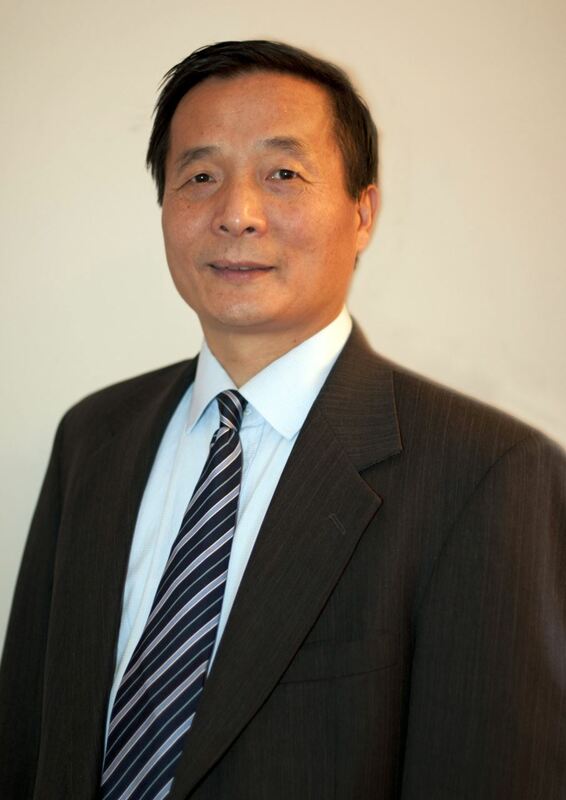 Dr. Changsheng Liu, lifetime member of the ICMRS, has been elected to Chinese Academy of Engineering. 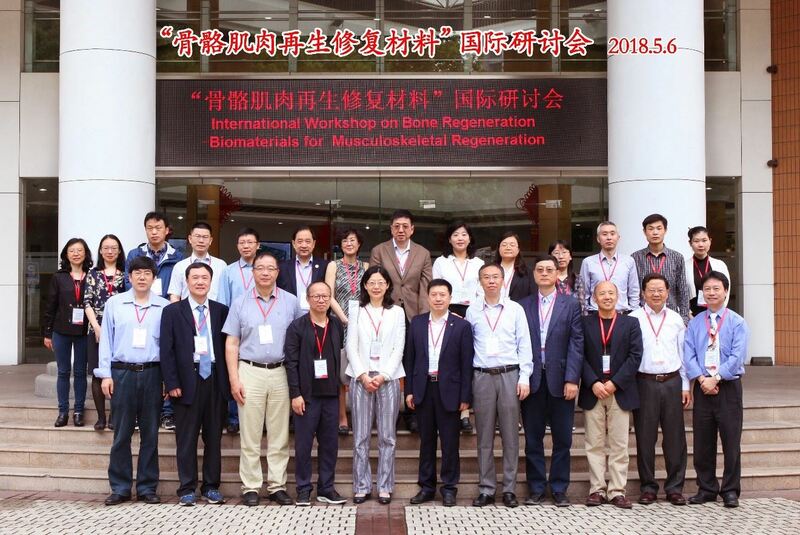 On May 6th, 2018, the “International Workshop on Bone Regeneration- Biomaterials for Musculoskeletal Regeneration” was successfully held by Engineering Research Center for biomedical Materials of Ministry of Education in East China University of Science and Technology (ECUST). 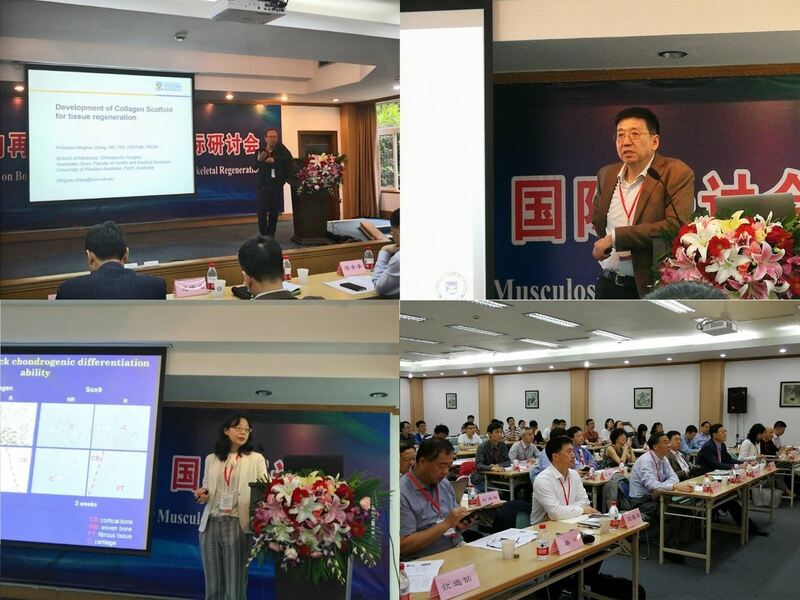 The attendees included the Prof. Chang-sheng Liu, Academician of Chinese Academy of Engineering, Vice President of ECUST, Prof. Ting-ting Tang, President of ICMRS, ICMRS senior members, invited specialists, and researchers from institutes in Shanghai. The ICMRS President, Ting-ting Tang gave a brief opening address for the workshop with his thanks to ECUST. 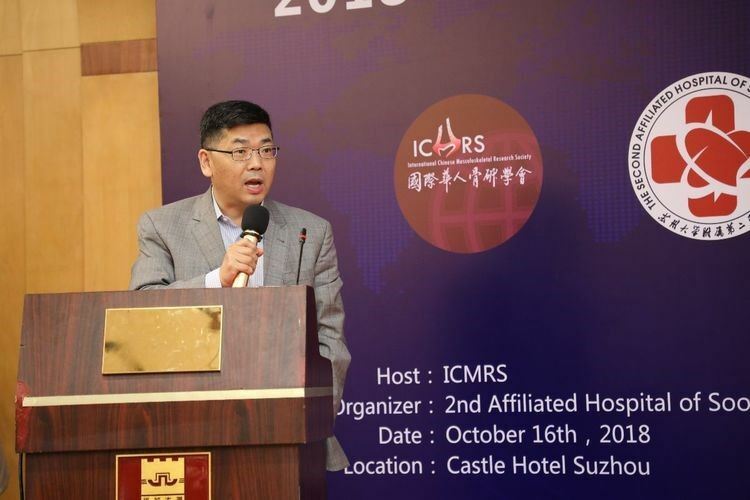 The Vice President, Chang-sheng Liu gave a warm welcome to the attendees with his wishes to the workshop, and many thanks to the ICMRS for their supports. 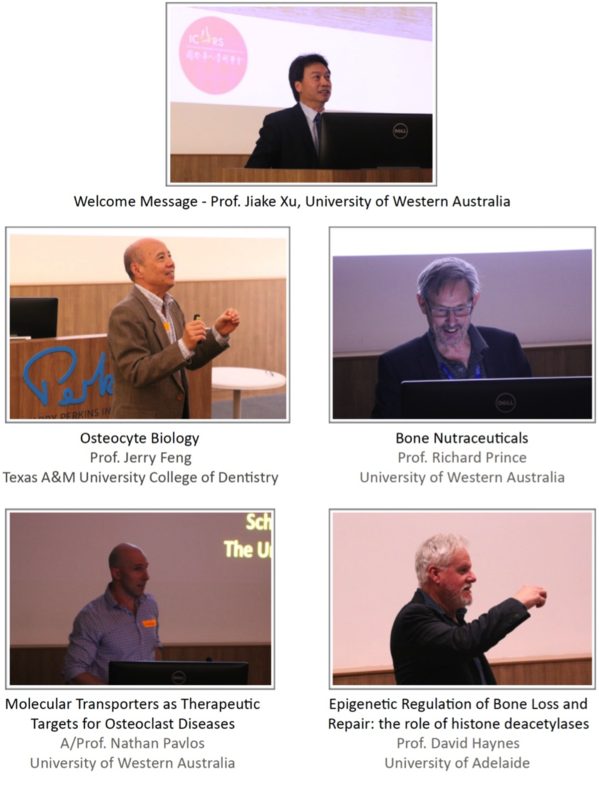 In the meeting, Prof. Ming-hao Zheng , Prof. Peter Ma, Prof. Jerry Feng, Prof. Ling Qin (USA), Prof. Lin Chen, Prof. Jiake Xu, Prof. Lidan You, Prof. David Ke, and Prof. Jing Wang presented their latest achievements and research results in their lectures. 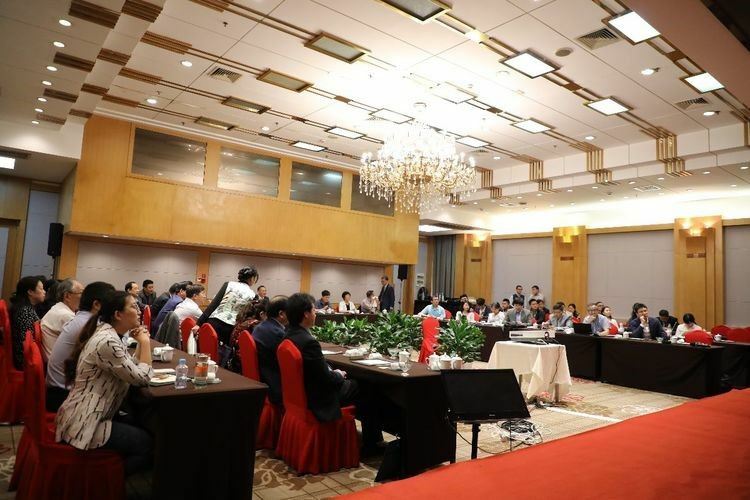 As an important part of the conference, Prof. Ling Qin (HK), Prof. Yixian Qin, Prof. William Lv, Prof. Peng Shang, Prof. Xiao-ling Zhang, Prof. Bin Li, Prof. Xiao-Chun Bai, and other specialists participated in the constructive discussions and gave thoughtful suggestions. 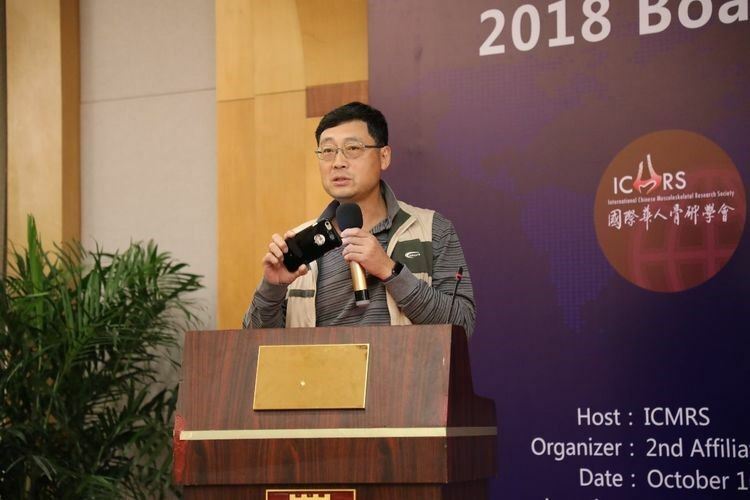 At the end of the conference, Prof. Liu gave a summary for the meeting, suggested consolidating the co-operations between the different subjects and challenging the frontier issues in the research area.